Podocarpus are very cold-hardy and also quite salt tolerant. 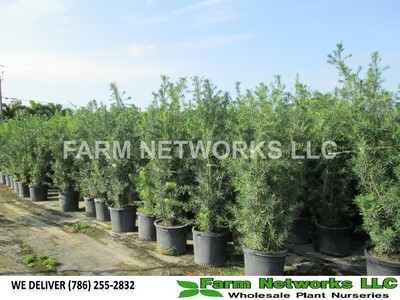 These two characteristics make it very desirable for use in coastal areas. 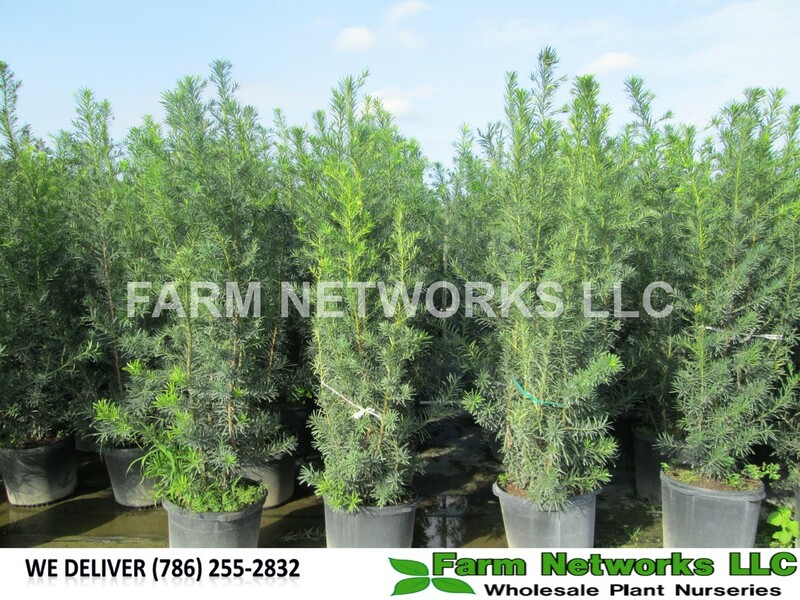 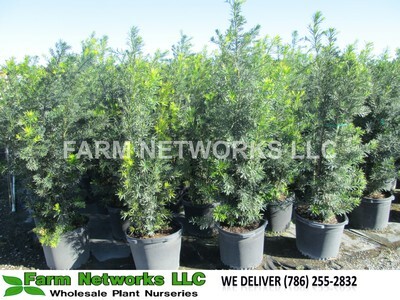 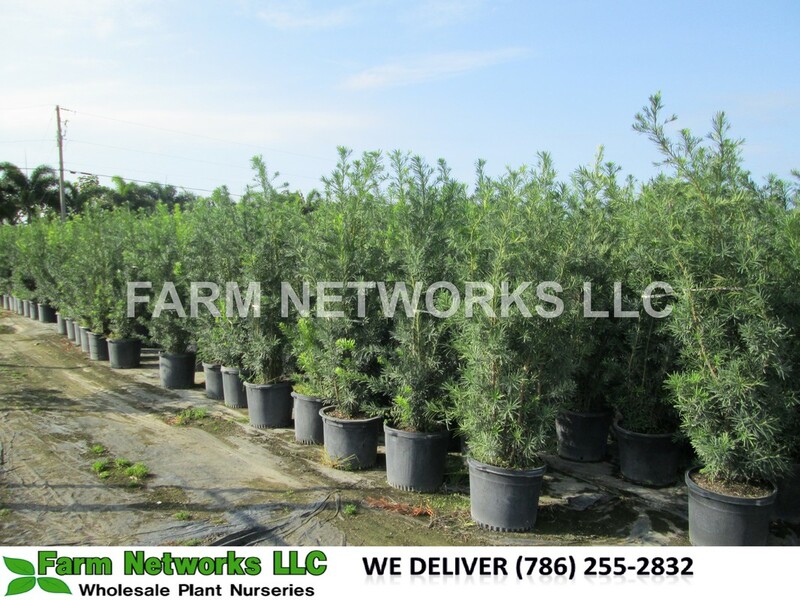 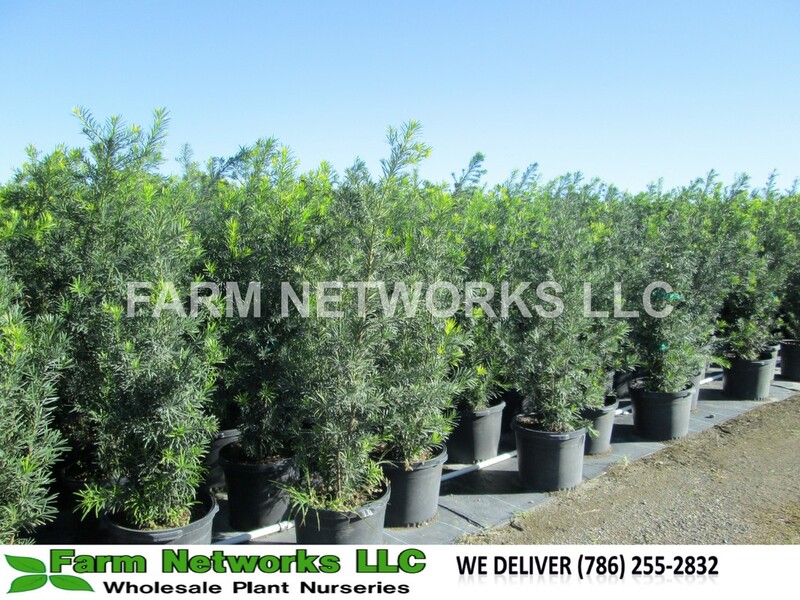 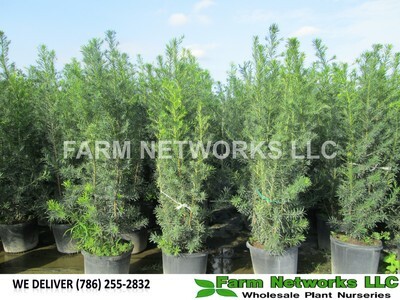 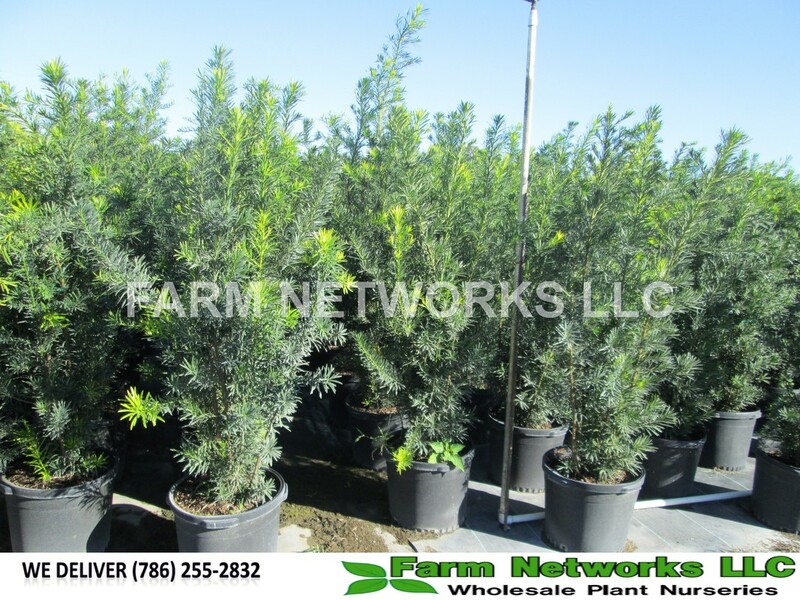 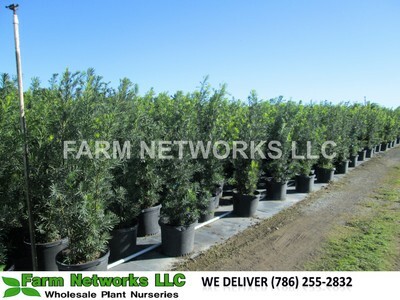 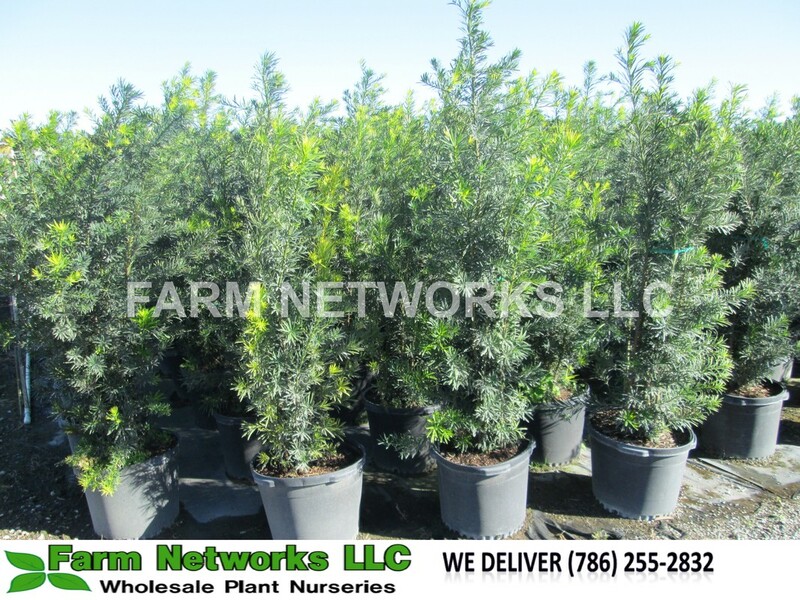 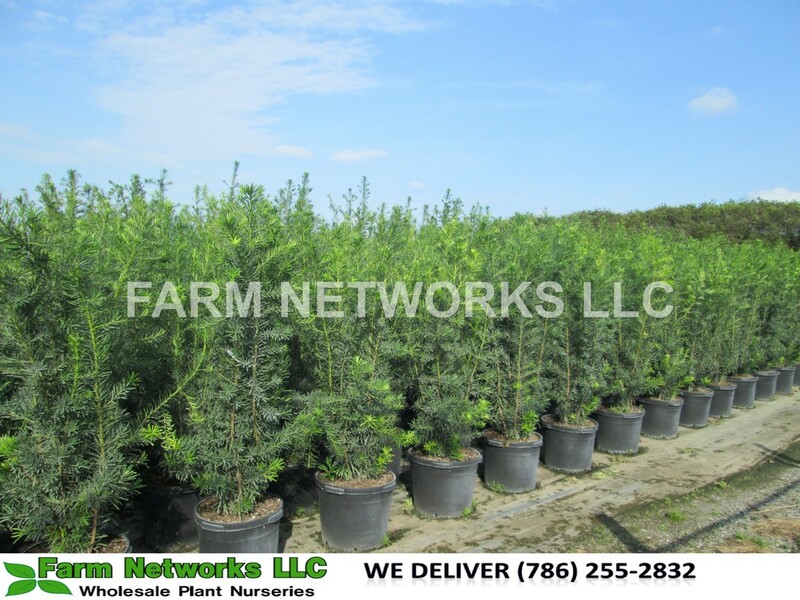 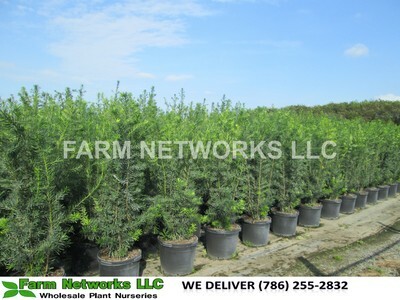 Podocarpus are fertilized according to size. 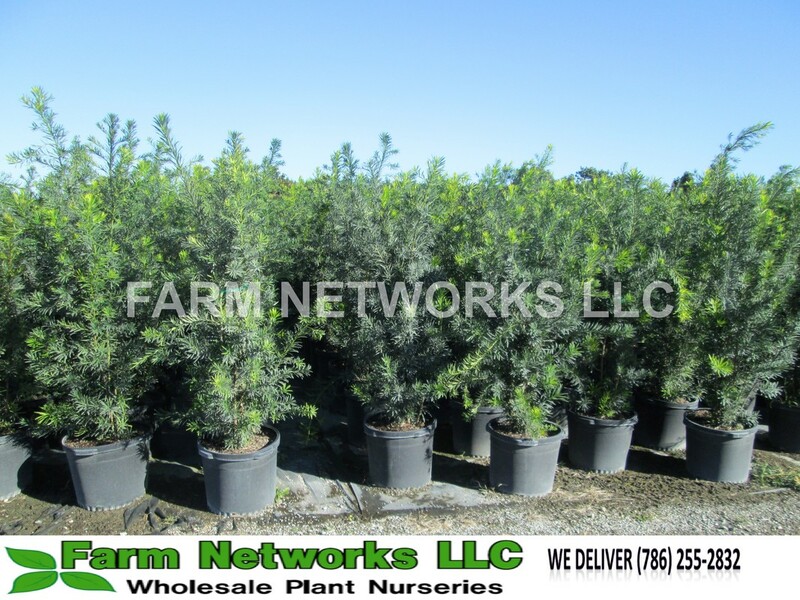 Trees with less than a 6-inch trunk diameter will require 2 to 3 pounds (4 to 6 level coffee cups) of a 6 - 6 - 6 type fertilizer or its equivalent, per inch of trunk diameter.Trunks over 6" in diameter will require 5 pounds (10 level coffee cups) of fertilizer per inch of trunk diameter. This amount is applied each year but amounts may be split in two or three applications, if desired. 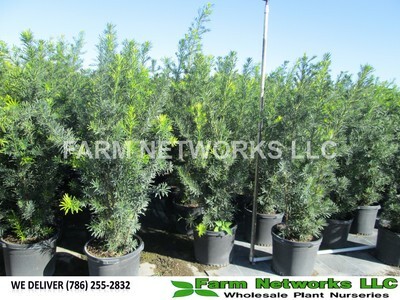 If plants have not grown much for their age, less fertilizer should be applied to prevent possible root injury.